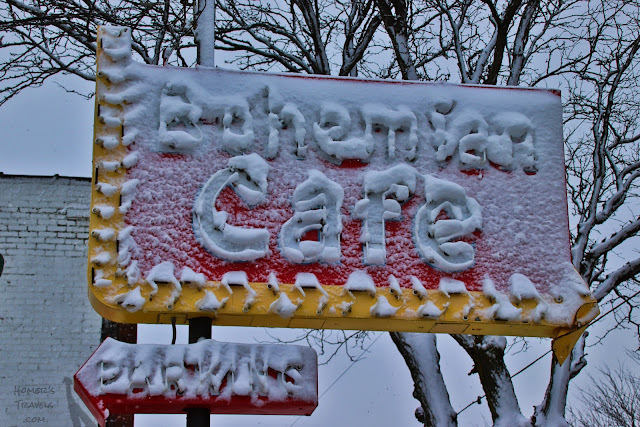 Homer's Travels: Photograph: "Frosted Cafe"
This is the sign for the now defunct Bohemian Cafe in downtown Omaha. The sign faces north. Can you guess which way the wind was blowing when it snowed on Sunday?